Hamburg Wheel Tracker - James Cox and Sons, Inc. The Hamburg (Immersion) wheel tracking test is used to evaluate the resistance to rutting and moisture susceptibility of asphalt mixtures. AASHTO-T324 is the generally referred to test standard, although many states modify this procedure to meet their specific requirements. Outside of the US both AASHTO-T324 and EN12697-22 are followed. The Hamburg wheel tracker is built to withstand the demands of the busiest test labs. It is made of high quality stainless steel, uses the standard cantilevered arm system of loading the specimens and produces fully sinusoidal motion. In the NCHRP report – Hamburg Wheel-Track Test Equipment Requirements and Improvements to AASHTO T 324, the Cox/Cooper Hamburg was clearly the best performing machine. Since then the heaters and water flow have been uprated, resulting in more rapid heating and improved temperature control. A number of Hamburg wheel trackers fall purporting to meet the standard fall short of current AASHTO requirements and may fall further behind when the norm is updated. Please be sure to verify the important parameters in the standard are met by the machine. 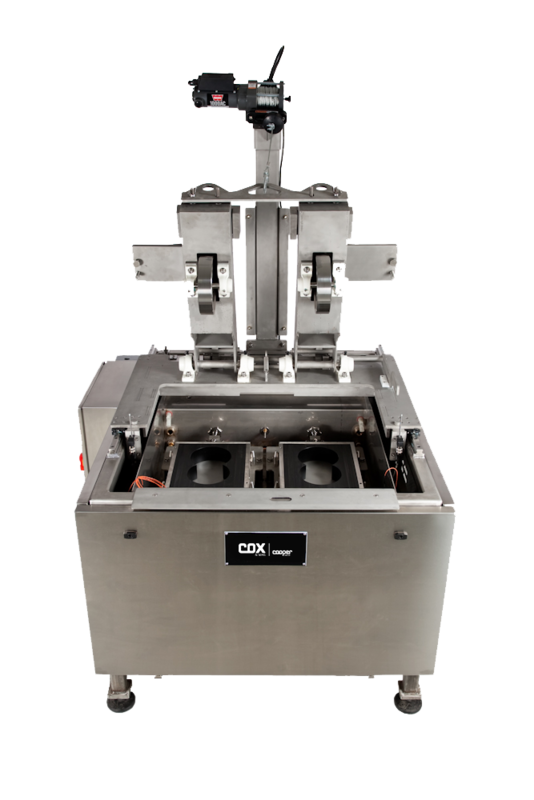 The Cox/Cooper machine meets all the requirements of the standards. The Cox Hamburg Wheel Tracker will output more precise and accurate results than any other Hamburg machine – guaranteed. A fully stainless steel, super stiff frame, which produces the most precise accurate results of any Hamburg wheel tracker on the market.